(Vancouver, B.C., Canada – April 15th, 2015) After months of secret tasting, the judges of the 7th Annual Chinese Restaurant Awards share their decision with the public in today’s announcement of the 2015 Critics’ Choice Signature Dish Awards and Food Bloggers’ Choice Awards. The results will be included in the new Chinese dining guide that many Vancouverites and tourists have come to appreciate and trust. (vandiary.com). They assumed the role of experts for three months, scrutinizing five dishes that are part of the 2015 Diners’ Choice Awards categories. Three-Cup Chicken. Shanghai Elan Restaurant in Burnaby’s Crystal Mall makes the Best Tea-Smoked Duck. Last but not least, Best Original Flavour Egg Waffle goes to Bubble Waffle Café in Aberdeen Centre, also the winner of Best Food Court Stall in the Diners’ Choice Awards. Since completing the difficult tasks as a team, the bloggers have a new-found appreciation for the work done by the Awards’ food critics. Stephen Wong, Lee Man, Brendon Matthews, and Foodie Yau went through six months of tasting starting in fall 2014, with the goal of finding the restaurants that befitted the ten Signature Dish Awards. Kirin Restaurants won the heart of the judges with their traditional Steamed Prawn and Pork Dumpling Topped with Flying Fish Roe. Chef Tony Seafood Restaurant’s east-meets-west Black Truffles, Pork, and Shrimp Dumplings enticed the critics with the sweetness of the shrimp and the earthy aroma of the black truffles. The chef’s creative approach to a traditional dish is highly praised by judges, making the restaurant a winner in this year’s Awards. the Critics’ Choice and Food Bloggers’ Choice Awards were officially audited by EY Canada. passionate about Asian cuisine in Vancouver Community College’s culinary program. 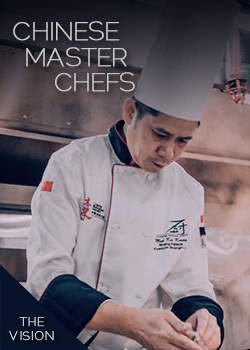 The successful programs of the Awards are made possible with the support of premium sponsors, such as Hennessy Cognac, which presented Peninsula Seafood Restaurant with the Top Cognac Service and Sales Award in celebration of Hennessy’s 250th anniversary and in recognition of Chinese restaurants’ contribution to the cognac industry. In 2015, the Awards will continue to work closely with chefs and critics in order to present more exciting programs on its eighth anniversary.